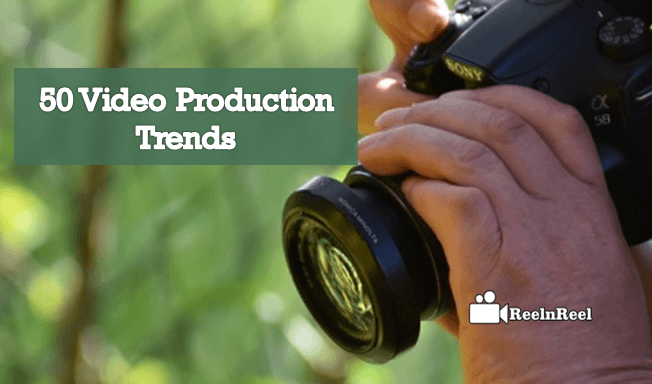 Everything is going digital now and it is not easy to stay ahead of video production trends. Video production tends to change as per the demand and responses of consumers. Video content is the most powerful, but to a product, something that engages the audience is possible only when the latest video trends followed. 4K videos are no more an exciting and new part of video production. New video cameras are offered with higher resolution 5K, 8K etc. The popularity of drone video keeps increasing. Virtual Reality and Augmented Reality are not being used by marketers though people love these technologies. VR and AR are presently being applied in gaming and entertainment only. VR and AR are however going to become more than niche entertainment because of the great potential tools they have. The present trend, however, is that VR and AR are not relevant to most of the video marketers. The video is no longer for only certain demographics, studies revealed that adults aged 55 and older are becoming tech savvy. It is also revealed that more than fifty percent of the YouTube users are females. Social media now is all about video and this trend is going to continue to grow in the coming days. Social media continues to be the most powerful medium for video marketers. About ninety percent of the marketers are using video to increase their brand awareness. Reports revealed that having a video on the landing page increases conversion rate by 80% and this figure is going to grow in future. A video is now the preferred form of marketing being accessed by consumers. Brands understand that the best way to get noticed is by using video content either on their websites or on social media pages. Shorter videos are the latest trend, a video which is of only two-minute length are watched by people fifty percent more. Fifty percent of the traffic for video content is coming from mobile devices and this trend will continue to increase. HDSLRs are coming with extremely shallow depth of field feature which allows focusing on a specific subject and isolating the subject from the background. Slow motion is now affordable and easy as more and more cameras are now able to shoot in slow motion, even in the mobile phones. Time lapse shots are becoming more and more common in business videos. Using sliders are allowed to add production values to the video at low cost and effort. Aerial footage is the latest trend in video production. Video creators are using color grade to add value to the video by enhancing the color. To make video ads successful, they should be tailored to the mobile audience, as mobile video ads are going to be the quickest growing digital ad segment in the coming years. Converting users is easy by making sure that the ads work across all the devices. Videos must be shorts and sweet and should be able to hook the viewer in the very beginning. Live video is becoming more and more popular on various platforms such as Facebook, YouTube, Brightcove etc and the marketers are figuring out how best they can integrate live video into their marketing strategies. It is an interesting trend to watch how VR glasses are used to watch the virtual reality videos. VR glasses and goggles are popular because of the video gamers and the applications are growing in the video production also. Interactive video is the video marketing trend, not exactly the production trend and people are falling in love with this video. Using self-deprecating humoring commercials/video is becoming the trend in video production. Being real is another trend being followed. Using animated characters along with real human is the trend in video production. Using real animals as actors in videos is another trend catching up. Taking advantage of aerial video for individual purposes by different industries in the latest trend. Live action sequences for commercial and corporate videos are done with the mountable video cameras. Amateur and professional video creators alike are following the trend of capturing live action whether it is downhill skiing or underwater exploration. There is an increasing appetite for cast study videos. Timelapse and hyper-lapse are receiving more inquiries from video production clients. Appetite for video is increasing and the attention spans are decreasing, so to guarantee that viewers are watching the video till the end, keep the videos as short as possible. Hook the viewers by telling a story in the most creative ways. Future of videos is going to be mobile and so vertical videos are here to stay. Hyperlapse is a technique used by most organizations to create eye catching video content. Producing personalized videos is the latest trend followed by brands to cater to the needs and interests of individual viewers. Creating visually heavy videos to deliver the message to people scrolling through phones in busy places is the trend now. Reaching audience easily and staying in the minds through the Snapchat video is the trend catching up. The video is going to be integrated with all the marketing activities. Pre-production is the most important phase in video production where specific business goals of the video are identified. Video produced for a mass audience has less value and the focused and targeted content is the future of video. With the increase of social media users, companies are producing short length videos and this trend is going to become more and more popular. Video production was about using fancy equipment, cool effects etc but now video production is all about reaching a target audience and to deliver measurable business results. Adding value to the video is the key to success in video production.